Why did you choose to become a teacher and/or work in education? Being around highly intelligent, creative, dedicated, and passionate educators … i.e., learners and leaders … greatly inspires me. Similarly, seeing children and young adults grow as learners and budding leaders on a day-in-and-day-out basis is indescribably inspiring to me. What are highlights of your professional background and/or training? Nearly 30 years in the corporate business world, around and among leaders of Fortune 500 companies, has helped me to appreciate how valuable and special a Prairie School education is … and how grateful we all should be for the parents who have entrusted their children’s formal education to us, for our teachers who truly make Prairie extraordinary and amazing, and for the staff, trustees, volunteers, and donors who provide the managerial and financial resources required to make all of this possible. 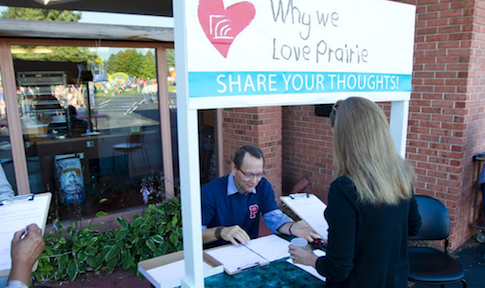 What do you most appreciate and/or love about Prairie School? Our mission, vision, educational philosophy and approach, caliber / quality of faculty and staff, student-centered culture, and incredibly strong (and impressive!) 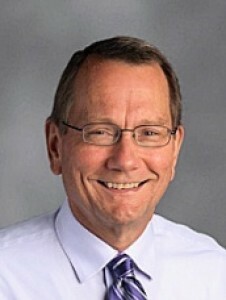 track record of preparing Prairie graduates for college … and life. This entry was posted in Our Faculty by Communications Department. Bookmark the permalink.